The historic McPherson Chapel begins a new life as The McPherson Wedding Venue. 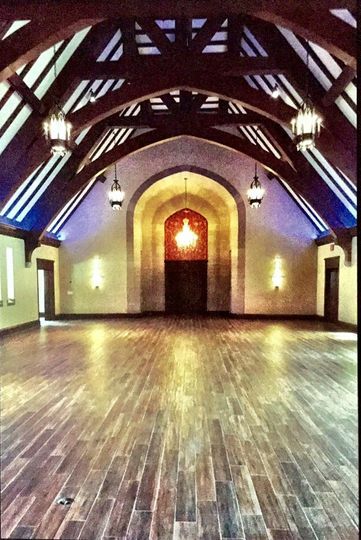 The 100+ year old Chapel located at 4715 McPherson Avenue just East of Euclid will begin a new life as an upscale Wedding Venue. After two years of renovations and modernization, the McPherson began operations in September 2017. New photos will be posted as soon as possible. 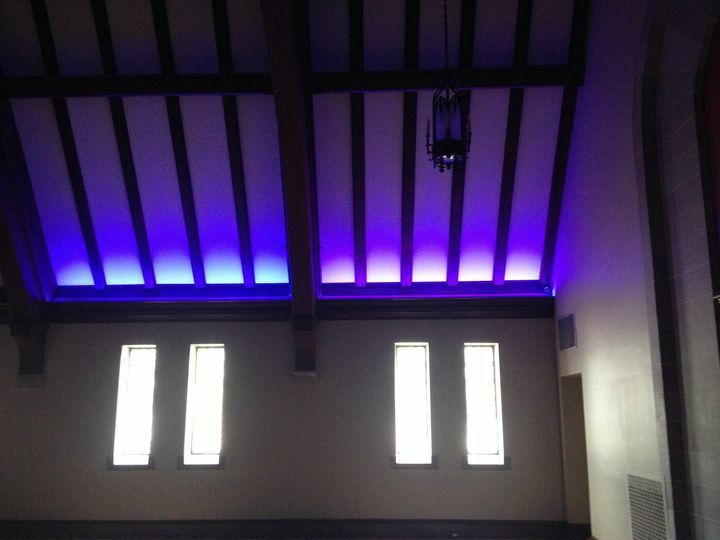 The main chapel has state of the art audio and mood lighting systems. New restroom facilities were added to bring the structure into compliance with current codes so there is no need for guests to navigate stairs to use restrooms. A private 5,000 sf courtyard is in the rear of the building to host outdoor weddings. A special wedding gazebo in the courtyard will allow brides to have the outdoor wedding they always wanted with the security of knowing that the event can easily be moved inside if the weather does not comply. 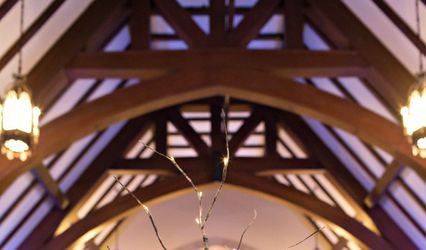 The inside venue can accommodate a ceremony under a large antique crystal chandelier and a seated reception for up to 200. 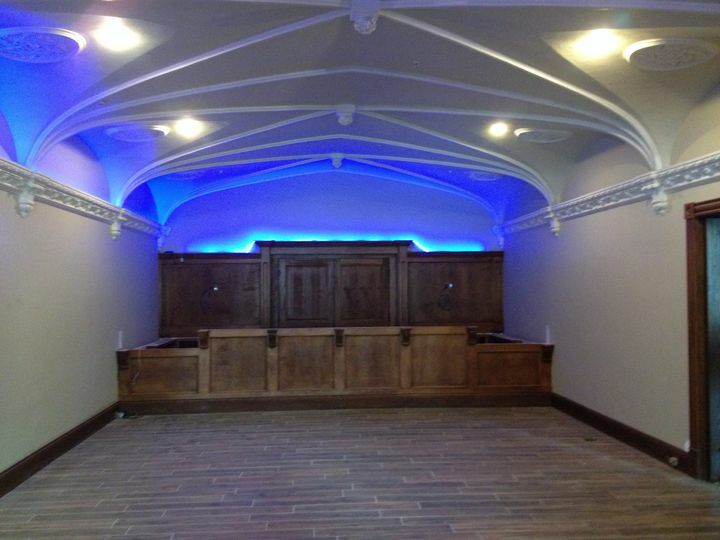 A beautiful bar has been build that will have up to 6 different beers on tap. There is also an outside bar in the rear courtyard. There is both a Groom’s room and a Bride’s suite on site. The Bride’s suite is over 700 sf and includes a private bathroom, salon quality makeup and hair counter that can seat five and a lounge area with couches, refrigerator and video monitoring of the main hall so that the bride’s party can watch as the guests arrive. 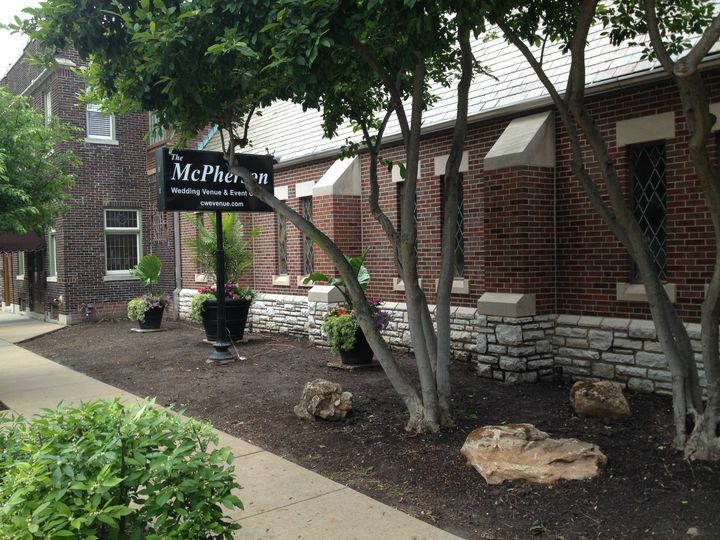 Valet parking is not required as The McPherson offers a private parking lot for 75 cars. The is also free street parking within 1 block and a large pay lot 2 blocks away. There is a portico for the bridal party’s limousine and a covered drop off area to use during inclement weather. The portico can also be used as an outside cigar bar area. Free shuttle service and discount room rates are available at the Parkway Hotel. Numerous bars and restaurants are located within 1 block for after reception parties to continue on into the night. For additional information or to schedule a private tour contact Phillip at 314-713-9922 or pboschert@yahoo.com or info@cwevenue.com. For weekend or evening tours contact Terri or Greg at 314-680-8658 or greglaunhardt@outlook.com. 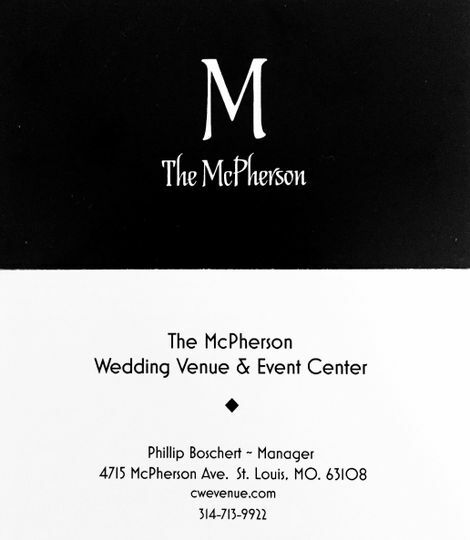 Russo's Gourmet Catering is the exclusive caterer for The McPherson. For food and beverage prices please visit their website at www.russosgourmet.com. 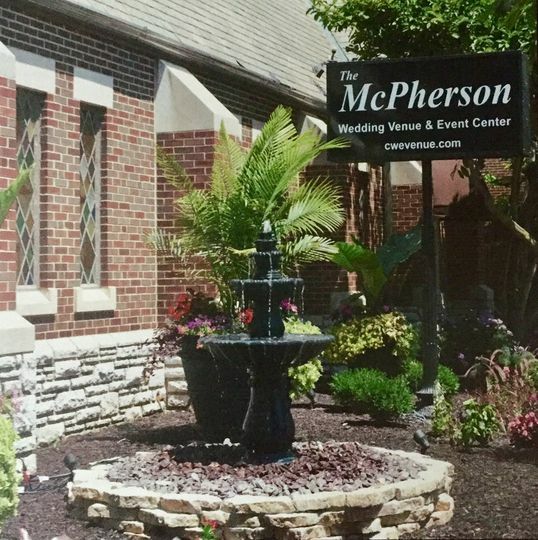 The McPherson was the perfect venue for our wedding of roughly 120 guests. Philip was a great host, and very responsive to phone call and text message. He was present for the ceremony and made sure things went smoothly. The venue is absolutely beautiful, and many people commented on how much they liked it. Additionally, it was nice to be able to have the ceremony and reception in the same location. 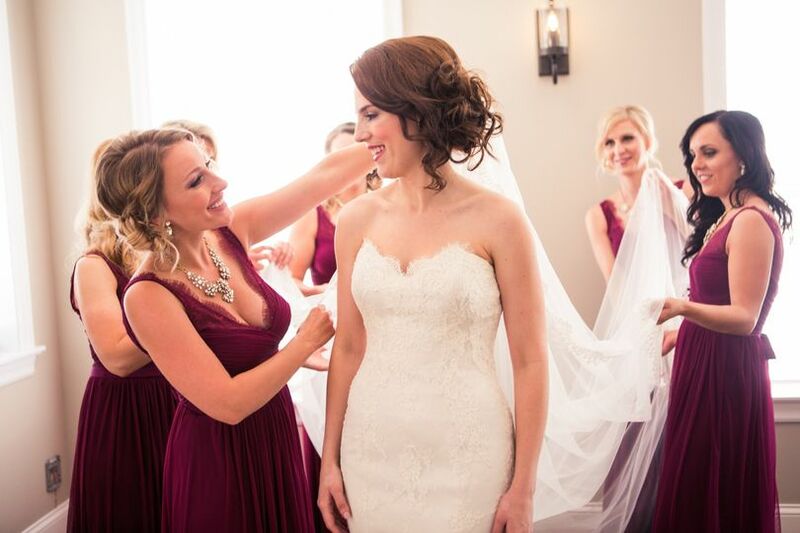 One of my favorite parts of the venue is the bridal suite for the girls to get ready in the day of. We did our hair and make up there, had lunch and drinks, and generally had a great time. Additionally, most of our guests were in from out of town, and the location in the central west end was a great showcase for St. Louis. Russo's in their exclusive caterer, and the food and drink were quite delicious and presented beautifully, as was the room set up. However, in the planning phase for the reception, Kathy from Russo's was a bit difficult to get a hold of. That being said, Russo's did a great job and it was worth it to not have to shop around and find a caterer on my own. Overall, this was the PERFECT venue for our purposes and I would absolutely hire them again. Highly recommended! The McPherson is amazing! Phillip was so incredibly helpful and accommodating. The venue is beautiful and the food, which is catered by Russo’s, was wonderful. I highly recommend that you order your cake through them too. I had multiple guests tell me that is was the best wedding cake that they have ever had. I would 100% recommend this place to anyone. The McPherson is incredible. It's one of the most beautiful venues in St Louis. I know because I'm a wedding photographer (Illumen Photography). The beams, lighting, even the chairs were beautiful! The owners were present and asked often if I needed anything from them. Russo's catering was also incredible. They served me early so that I was ready to take pictures as soon as the bride and groom were finished eating. And the food was phenomenal! The eggplant parmesan was my favorite. As a bride looking at this venue, just know you will be well cared for by everyone here. It's a stunning venue! I can't wait to take pictures here in the future! If you select to have your rehearsal dinner at the venue the fee for a rehearsal practice is waived.